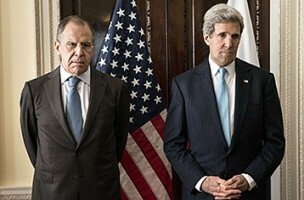 Talks between John Kerry and Sergey Lavrov over Ukraine go nowhere; another new theory about MH370; plus a possible break in the Alexandria serial killer case. Washington City Paper: Does a Ben’s Chili Bowl Half Smoke Taste Good in Rosslyn? ABC 7: Alexandria Murder Probe: Police inquire about man arrested in West Va.
Photo credits from left to right: AFP, Seismology and Physics of the Earth’s Interior Lab, ABC 7.